Why Is Your Dog’s Stomach Making Noises And Is It Normal? The gurgling noises you hear from your dog’s stomach are caused by gas moving around in the intestines. Just like us, it is normal for there to be some activity in the intestines, but generally is pretty quiet. If you aren’t sure, place your ear against your dog’s stomach. You should hear periods of quiet with occasional soft gurgles. This is what all of our stomachs sound like as well. Sometimes just like us, dogs will have episodes of loud gurgling. Sometimes they are so loud that you may be able to hear them from across the room. While these noises aren’t entirely normal, they also don’t necessarily mean there’s a problem. Normal, quiet gurgling occur when normal quantities of gas are moved through the intestines in a normal fashion. Abnormally loud intestinal noises occur when the intestines contain abnormally large quantities of gas, or when the intestines experience abnormally increased activity. Both of these phenomena often occur simultaneously. Is your dog’s stomach making noises because he’s hungry? One of the most common causes of your dog’s stomach making noises is when your dog is hungry. Intestines of hungry animals do not contain significant quantities of food. Therefore they have a higher ratio of gas to solids. And the empty intestines might start to exhibit activity in response to anticipated feeding. The result will be audible intestinal noises, or “tummy grumbling.” Breakfast is the treatment for this type of intestinal gurgling. Is your dog’s stomach making noises because he ate something strange — or something he shouldn’t have? Unfortunately, hunger is not the only thing that can cause loud intestinal gurgling. Dietary indiscretion, such as occurs when dogs break into the trash or feast on novel food items, is a common cause of a dog’s stomach making noises. This type of gastrointestinal upset often is mild (it can be compared to what might happen when a person who doesn’t usually eat spicy food goes to a Thai restaurant). However, be aware that dietary indiscretion in some cases can lead to very severe vomiting or diarrhea, or to other complications such as pancreatitis in dogs. Other potentially serious causes of your dog’s stomach making noises include intestinal parasites, inflammatory bowel disease, gastrointestinal foreign bodies, hemorrhagic gastroenteritis, certain toxicities, adverse reactions to medications, metabolic problems such as liver or kidney disease, glandular disorders and even cancer of the intestines. So, how worried should you be about your dog’s stomach making noises, and what should you do? It depends upon the circumstances. If it’s the morning, and your dog appears to be feeling fine but has not yet been fed, consider offering breakfast. If he eats with his normal enthusiasm and the noises stop, there probably isn’t a problem. On the other hand, if your dog’s stomach is making noises in combination with symptoms such as mild lethargy or slightly poor appetite, a problem could be brewing. You should brace yourself for possible diarrhea or vomiting (although these are not guaranteed to develop), and consider offering an easily digestible diet such as boiled boneless, skinless chicken breast with steamed white rice. 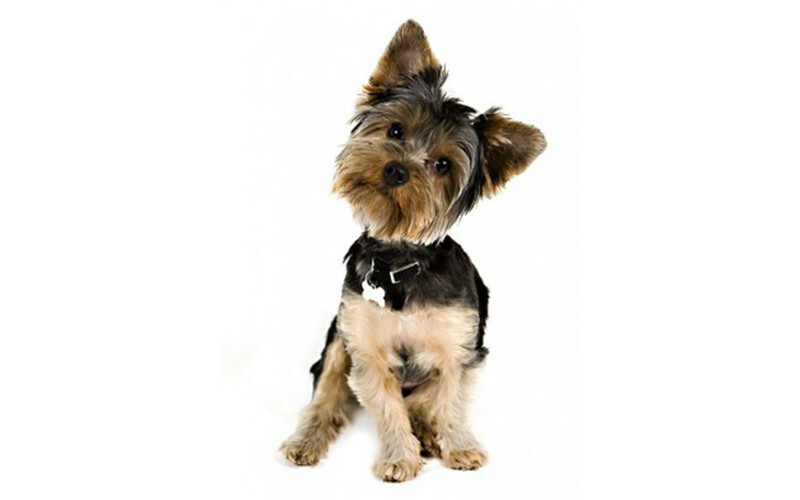 If your dog is producing loud intestinal noises and he seems sick, then you should seek veterinary care immediately. Symptoms that should signal alarm include significant lethargy, significantly depressed appetite or thirst, diarrhea and especially vomiting. If you are in doubt about whether your dog needs to see the vet, the safest option is always to take him in. It is better to err on the side of caution in these types of circumstances. Are your dog’s stomach noises painful? Some people wonder whether loud intestinal noises are painful. Again, it depends on the circumstances surrounding your dog’s stomach making noises. Hunger pangs are not especially miserable, but the cramps associated with some of the more serious causes of loud borborygmi can be downright agonizing. Painful gurgling noises are usually accompanied by lethargy and poor appetite. If your dog seems to be in pain, then a trip to the vet is in order. Finally, some dogs experience loud intestinal noises on a regular basis. If you notice a dog’s stomach making noises — loudly — many times per week, then you should use the presence (or hopefully the absence) of other symptoms to guide your response. Dogs who experience regular loud stomach gurgling in conjunction with episodes of diarrhea or poor appetite might be suffering from inflammatory bowel disease, parasites, or some other chronic intestinal disorder that should be treated. Dogs who feel fine but produce loud intestinal noises regularly probably don’t have anything wrong (although you should have your vet confirm it). After all, some individuals are gassier than others, and some intestines are naturally more active than others.